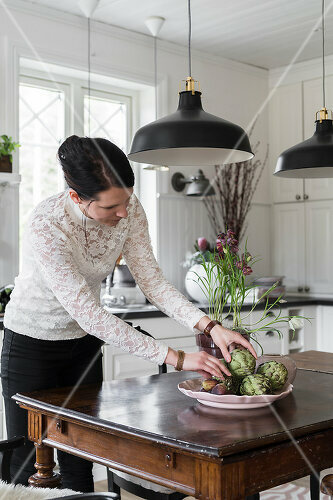 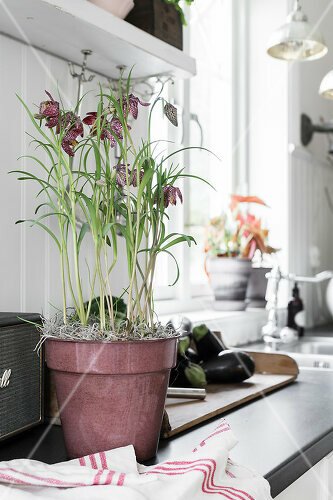 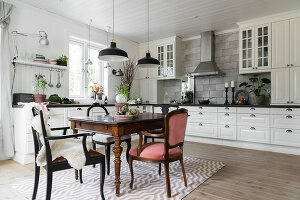 Clara and Viktor originally designed the kitchen themselves. 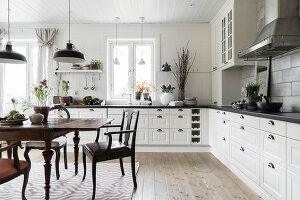 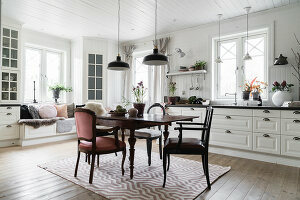 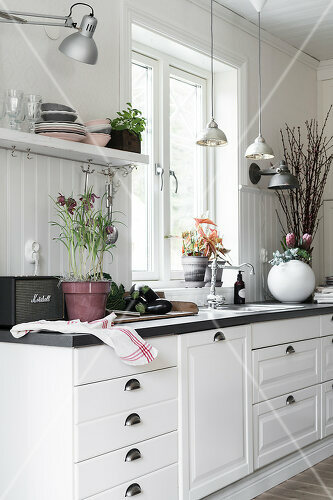 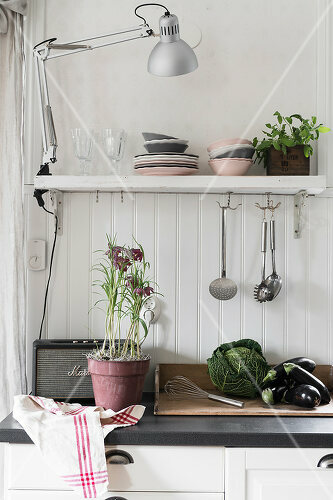 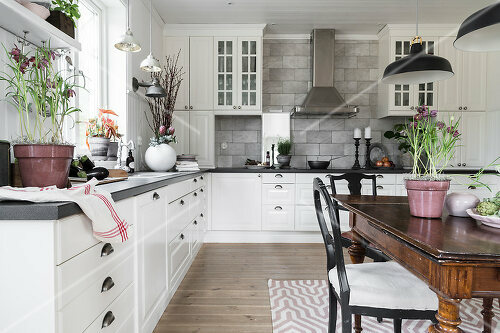 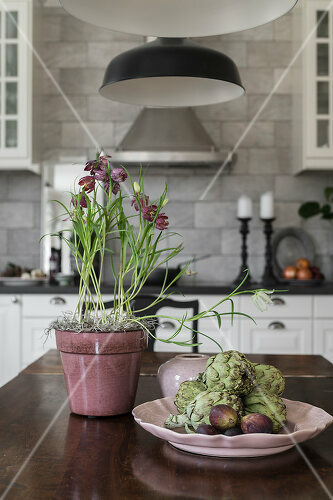 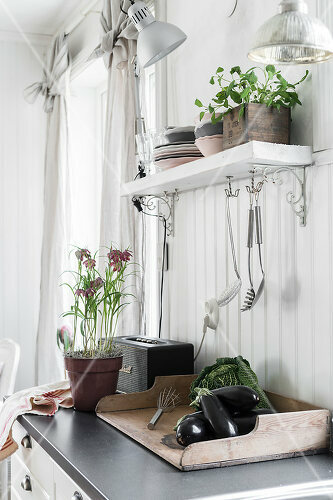 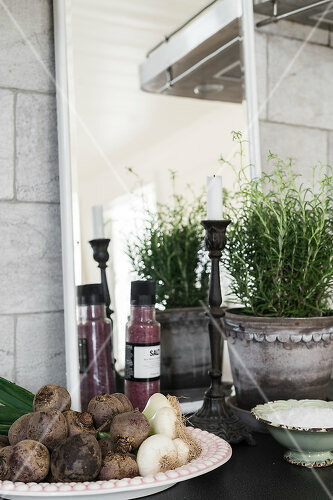 Their aim was to create a modern and cozy country kitchen with lots of smart storage solutions. 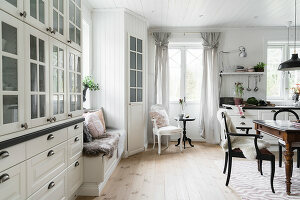 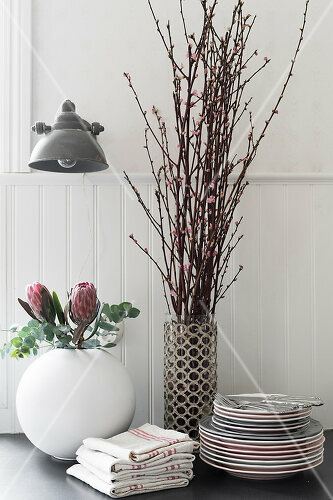 The decor is light and airy - with soft pastels adding colour.